Peisey-Vallandry has the holiday essentials covered with a selection of ski shops, souvenir outlets and chemists spread throughout the villages. 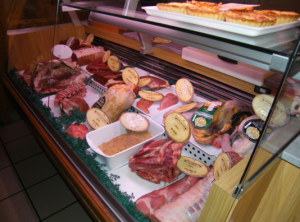 Most of the individual hamlets have their own boulangerie, while there are mini-supermarkets or specialist food producers in Vallandry, Plan Peisey and Peisey. Gift shopping is limited, but Souvenirs & Co. (at Plan Peisey) is packed with regional gifts and decorative items including linens, crockery, decor, pretty birthday gifts, cuddly toys, little games for children, newspapers, postcards, and souvenir items to bring back to for the family. For winter sports and ski equipment, there is a wide variety of choices, as you might expect from one of France’s most important Ski Resorts. 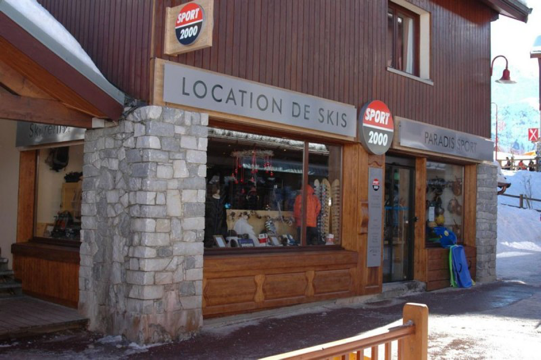 Paradis Sport 2000 in Vallandry does ski rentals as well as repairs and the usual array of ski clothing and equipment. There are over 14 different ski equipment shops in the area so there is plenty of choice for every budget. And just down the road from Villiod’s is Lovato’s Boulangerie selling a fantastic range of fresh breads and cakes. One thing is for certain, staying at Deer Lodge, your amazing accommodation can be beautifully complemented with fantastic local fresh food from a wonderful array of local shops, enabling your “apres ski” experience to be just as amazing as your time on the slopes.